Spiritual grounding is extremely important and although many people are not aware of the value of making sure you ground yourself, it is of value to look at reasons why grounding can help you. If you are doing any sort of spiritual work, you will open your higher chakras as you open to the Divine Source. But once open they need to be closed, so that you are able to function normally. 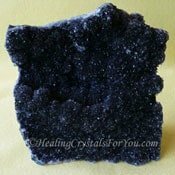 If you are working on developing psychic gifts such as psychic knowing, psychic visions or clairvoyant abilities, you can become extremely ungrounded. 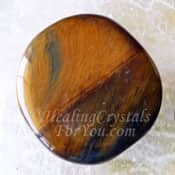 This is also often the case if you are using any of the many high vibration stones or crystals, as they can make you extremely ungrounded when you simply hold one of them in your hand. If you are doing this type of spiritual work it is best to make sure that you ground yourself often, and quickly. 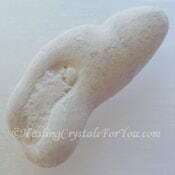 There are a number of ways that you can do this including using crystals. 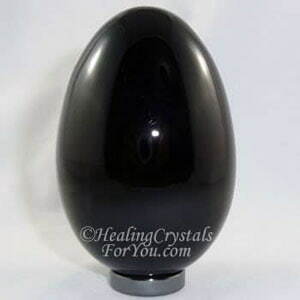 While this will happen naturally, I personally find that by having specific crystals within my aura, it naturally happens fairly rapidly and the spaciness is quickly relieved. 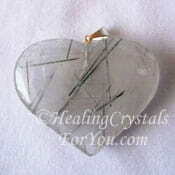 Remember to make sure you ground yourself afterwards, if you are working on specific gifts. 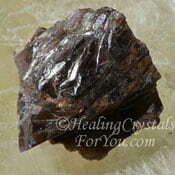 This includes working to develop abilities such as clairsentience (also known as clear feeling) or psychic hearing, (also known as clairaudience) or any of the range of psychic abilities. 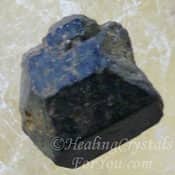 When you are working with high vibration stones in meditation, you may use specific healing crystals for you to develop these gifts, which often make you very ungrounded. 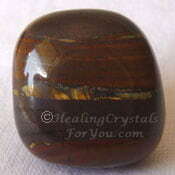 While these are marvelous stones to work with, just be aware of whether they have made you ungrounded. There are a number of ways you can do this, some take more time than others. 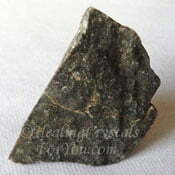 One way is to carry or wear strong grounding stones in your pocket, or wear them as jewelry. 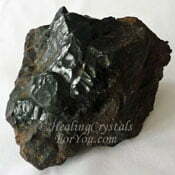 Spiritual grounding is extremely important, even crucial to prevent health problems and it is easy to do. 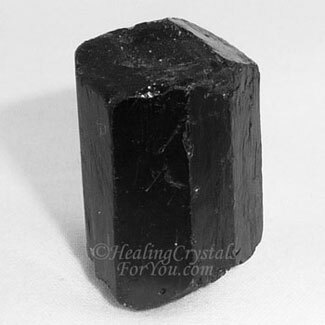 Black Tourmaline, seen in image below, is a stone that I highly recommend that you keep on you or close by at all times, for both spiritual grounding and protection. 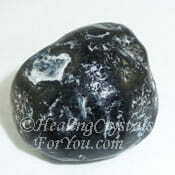 This is especially important as in addition it also has a strong vibration to aid psychic protection, as well as being one of the strongest grounding stones. 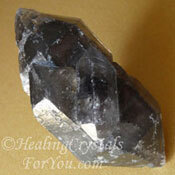 Black Tourmilated Quartz has similar qualities, and the addition of the quartz makes these powerful stones to bring light into your auric field, to aid your lightbody. 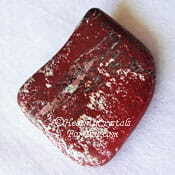 If you look at the list below you will see a range of spiritual grounding stones, and many of these have both of these important qualities, an important attribute that will be of great benefit to you. 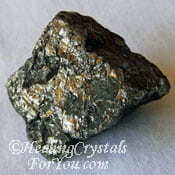 The strong grounding stones that are also highly protective are beneficial crystals to use. 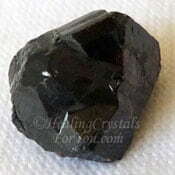 Black Andradite Garnet is a particularly helpful stone to use as it is also highly protective. 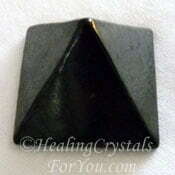 By looking at the other aspects of many of these stones, you may discover additional reasons why you might choose to use a particular one. 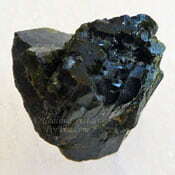 Black Diopside is another powerful stone. 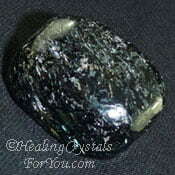 Black Diopside has many attributes including helping you make contact with Mother Gaia. 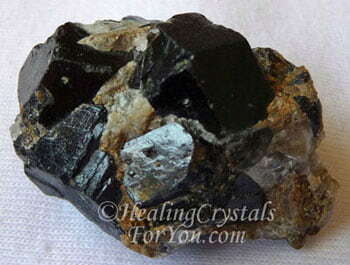 If you are an alchemical healer or natural therapist of any sort, keep at least one grounding crystal on you while you are doing treatments. 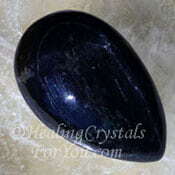 There are many black crystals that you may utilize, like Black Obsidian, see image above, that are powerful stones to use for this purpose. 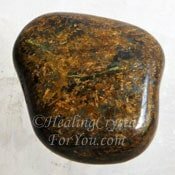 Boji Stone, Fire Agate, Red Jasper, Moss Agate, Shungite, Smokey Quartz Crystals, Black Diopside and Turquoise are all excellent stones to keep on you to assist with spiritual grounding. 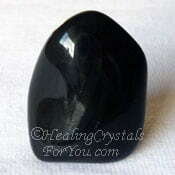 If a picture of a stone attracts you, check out this stones specific aspects outlined in its individual page, you might find out that it also has other helpful qualities to benefit you. 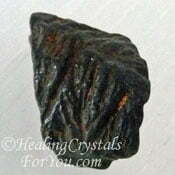 When you hold one of these stones in your hand, for even a minute, you are likely to feel the connection to the earth. 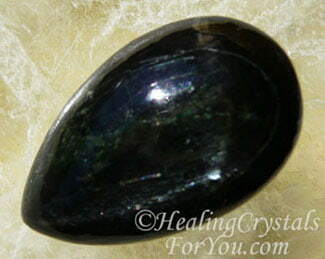 There are many healing crystals for you to choose between, but one that is highly useful to add to your collection is Charoite. 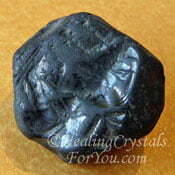 Wearing Charoite is highly conducive to your continuing good health. 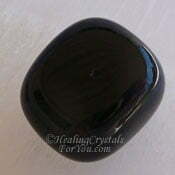 It is easy to wear while doing healing, or any sort of spiritual development work. 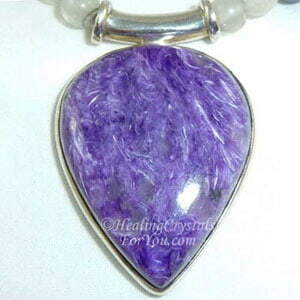 I always found it highly advantageous to wear my lovely purple Charoite Pendant, as it has a powerful vibration. 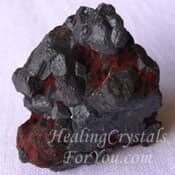 It has many powerful spiritual aspects for the higher chakras, and for the earth chakra and the base chakra, as well as for psychic protection so check out its many metaphysical attributes. 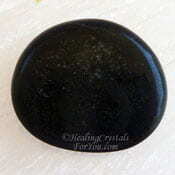 Spiritual grounding is important whenever you are using high crystal energy stones, or doing any sort of work using your psychic powers. 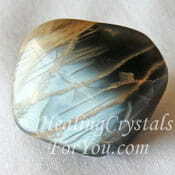 Whatever stone you choose to wear, just ensure that you keep one of these stones either within your aura, or have them close by so you can employ them when required. That way if you do become ungrounded you may use them to aid you to return to normal quickly. 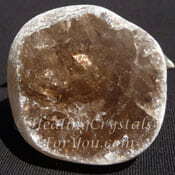 When you are working on developing psychic abilities or powers, this is especially true. 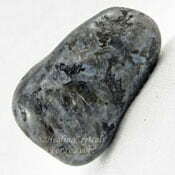 If you feel at all ungrounded, hold one of them in your hand and make a connection with it. It has the potential to work quickly to help you. "Do not grow old, no matter how long you live. Never cease to stand like curious children before the Great Mystery into which we were born." Albert Einstein. 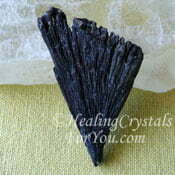 There are a lot of crystals that aid spiritual grounding and while some are quite well known others are not so common. 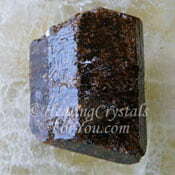 There are quite a few pictures of grounding stones shown on this page but there are many more not shown here. 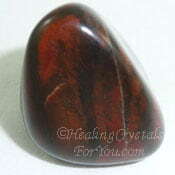 There are also a number of stones that will ground you that also have quite a few other very useful attributes that make them excellent stone to have in your collection. Cerussite, Chiastolite, Cinnabar, Covellite, Cradle of Humankind, Crimson Calcite, Crocoite, Cuprite, Dalmatian Jasper aka Dalmation Stone, Elestial Quartz, Fancy Jasper, Fire Agate, Gaspeite, Iron Pyrite, Jet, Libyan Desert Glass aka Libyan Gold Tektite and Luxurianite. Sonara Sunrise, Sphalerite, Spurrite aka Strombolite, Star Hollandite Quartz, Staurolite aka Fairy Cross Stones, Sugilite, Suleiman, Turquoise, Unakite, Vanadinite, Vesuvianite aka Idocrase, Zebra Stone, Zincite and Zircon. 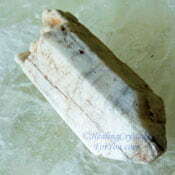 Quite a lot of the crystals listed on this page have their own in-depth pages written about them, and its easy to learn more about stones shown here!